Dr. Mélanie Lamarre is a clinical psychologist, member of the Quebec Order of Psychologists since 2007. 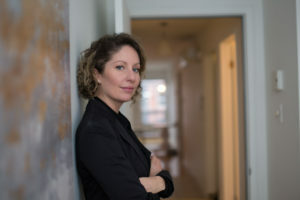 She completed her doctor’s degree in Clinical Psychology at the Université du Québec à Trois-Rivières. In addition to the conferences she offers in companies, Dr. Lamarre works in private practice where she has acquired a strong experience in the treatment of anxiety and mood disorders. Dr. Lamarre is interested in optimizing human behavior. She pursues her continuing education by exploring the third wave of cognitive behavioral therapy as well as the emotionally-focused therapy. Dr. Lamarre could be seen in different media (television, radio, print media). Her professional opinion has been repeatedly solicited because of her direct style and her great ability to vulgarize. Dr Geneviève Gagnon is a neuropsychologist that works both in the research and the clinical worlds. She completed her post doctorate at the University of Toronto and taught at the Harvard Medical School. She also was a principal investigator at the Douglas Hospital (Montreal), researching new ways to prevent memory decline and optimize human cognition. She supervised research students and future neuropsychologists. 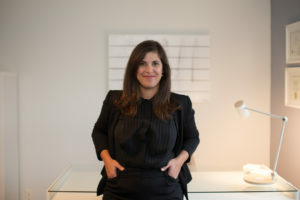 She recently moved to private practice to focus on developing projects and workshops. She also offers neuropsychological services at Clinique Cherrier where she assesses and treats clients. She also teaches at McGill University, for the department of psychology and psychiatry.